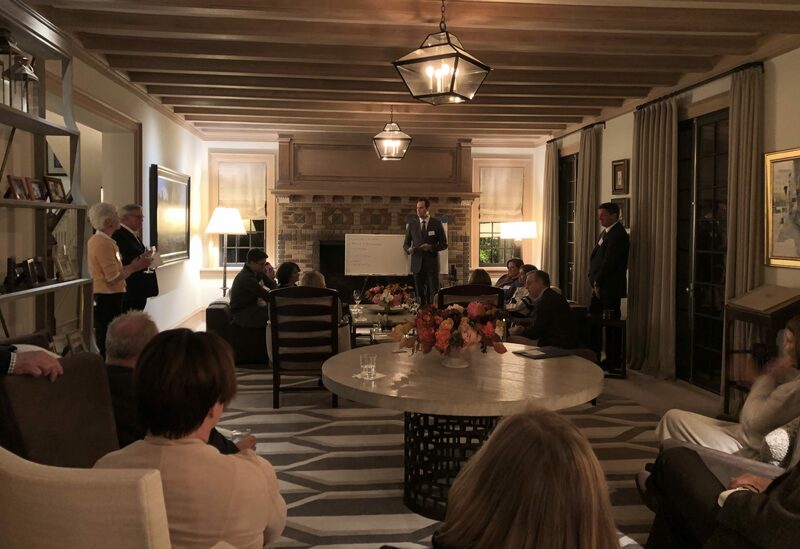 On Sunday, November 4, 2018, the 2019 Spring Gala Committee met to kick off its efforts to make the upcoming event the most fun and successful to date! Hosted by Paula and Tom McInerney at their lovely Westport home, thirteen couples passionate about supporting Catholic education met for a reception and a beautiful sunset to begin brainstorming. Led by Executive Director Holly Doherty-Lemoine and featuring expert auctioneer Patrick Tully, ideas and excitement flowed freely. This year’s committee features 20 couples hailing from all across Fairfield County, and is chaired by The Most Reverend Bishop Frank Caggiano. Between now and April 11, 2019, the committee will work diligently to gather sponsorships, finalize the event program, and support Catholic education in the Diocese of Bridgeport through this event. The Spring Gala is Foundations in Education’s premier fundraising event. Gala proceeds benefit Foundations in Education including Bishop’s Scholarship Fund and Innovation and Leadership Grants. This year alone we awarded 1,380 children more than $2,500,000 in tuition assistance so they may experience transformational education based in Christian values and character formation at Catholic schools throughout the Bridgeport Diocese. We also made 19 grants to teachers for a total of $105,000 for innovative and leadership initiatives in our Catholic schools, thus benefiting our students further.